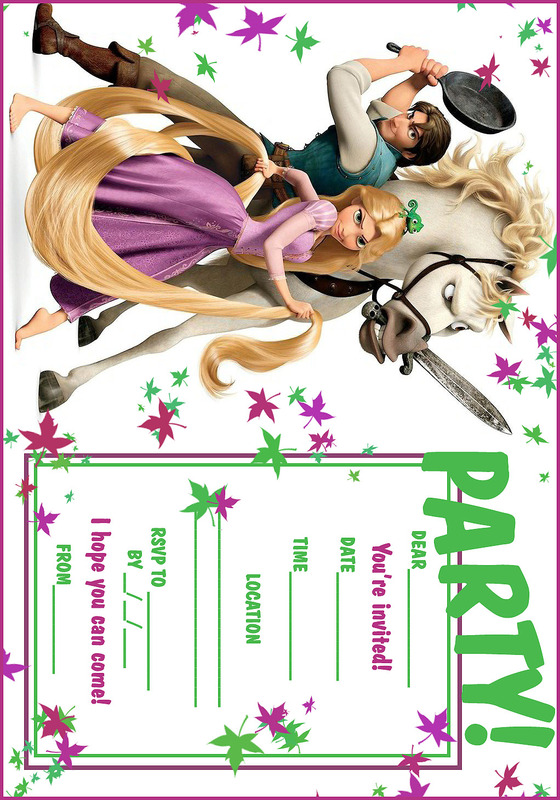 Princess Coloring Pages brings you three wonderful Tangled party invitations. These birthday invites are free and you can personalise them with your name, date, time and location of your party and it also has a section for you to enter the RSVP details such as telephone number and the date by which you'd like to receive your RSVPs back. Click on the Tangled free invitation you like best and it will open nice and big - then print up however many copies you need for the number of party guests you are inviting. Alternatively you could save the image to your PC to print later. 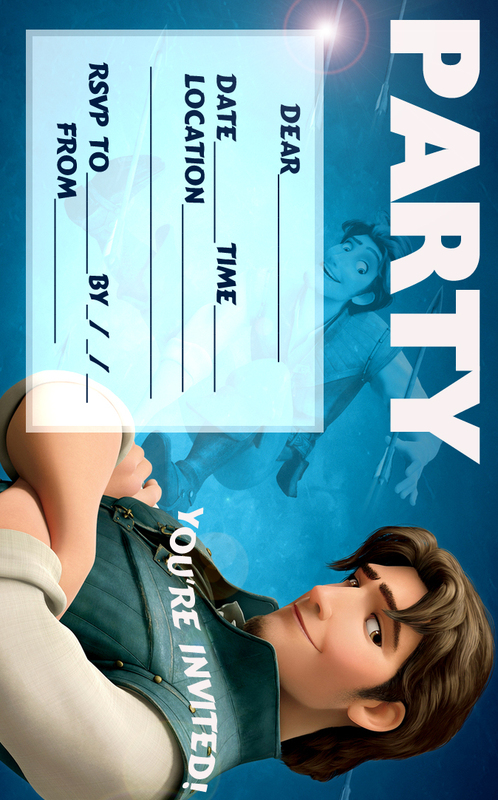 For boys I have made a Flynn Ryder party invitation (or it's okay for girls too who kinda like Flynn as much as I do!) 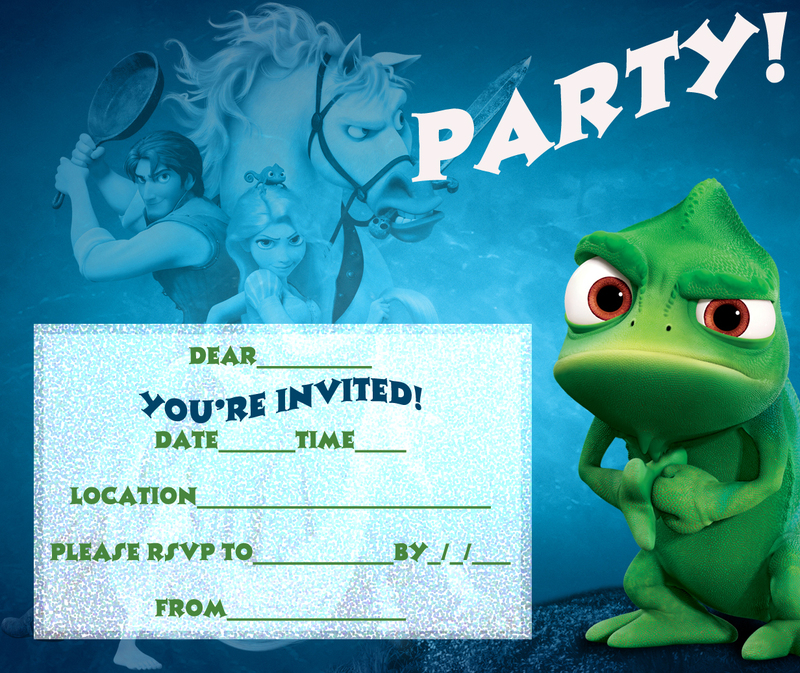 and there's another that shows Pascal the chameleon from Tangled and the 3rd shows all the cast. These party invitations are really high resolution - high quality and they will print nice and sharp! Enjoy and have a great party won't you!? 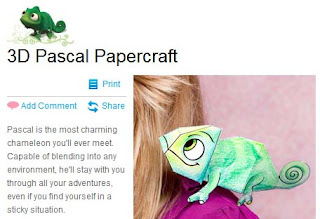 As a great paper craft activity for your party - why not print and colour your own Pascal paper chameleon puppet? Click on the image below and you will be taken to the Disney page where you can click to open and print the PDF document of 3D Pascal.